This 30.5mm. 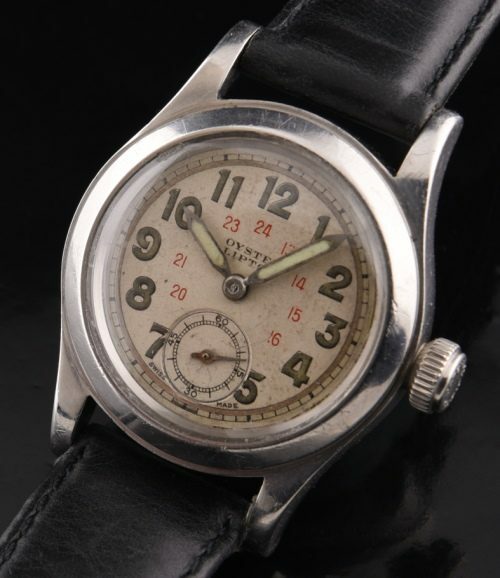 WW2 OYSTER LIPTON (by ROLEX) was made in 1941 and mainly marketed to soldiers going overseas. Notice the nostalgic inscription on the case rear. This case has not been polished and still looks great. Notice the wide steel bezel. The large OYSTER PATENT winding crown is correct-screws down perfectly. 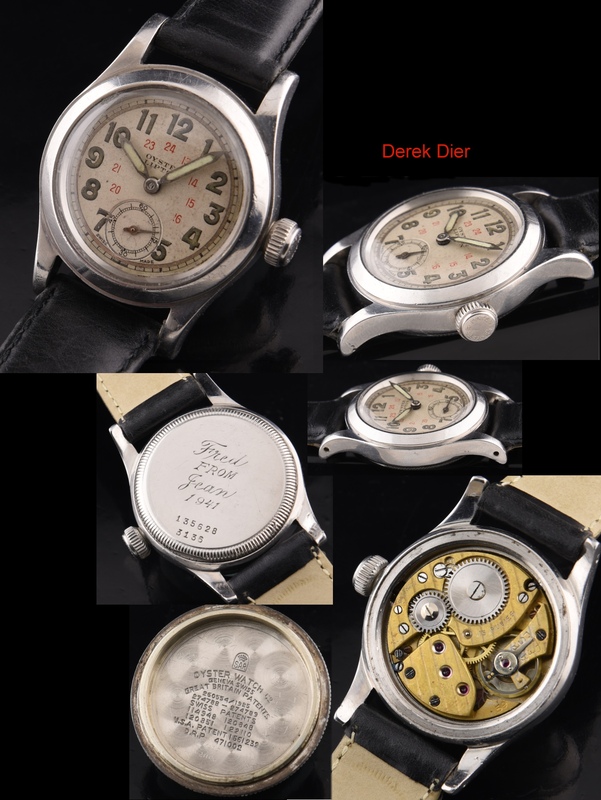 Look at this amazing original dial with gold mirrored track, large Arabic numerals and original (re-lumed) pencil hands. The correct Fontmelon (called the Cal FF30) 17j manual wind renamed the Rolex cal 59 and is correctly signed ROLEX UNDER the dial. These dial are nicely balanced and easy to read. Remember-all these early OYSTERS are smaller sized watches.